Educational robots are a learning environment in which individuals involved are stimulated by designing and creating innovations. These innovations are first and foremost followed by the mental and physical formations, which are designed with different types of materials and controlled by a computer system, so-called models or emulators. 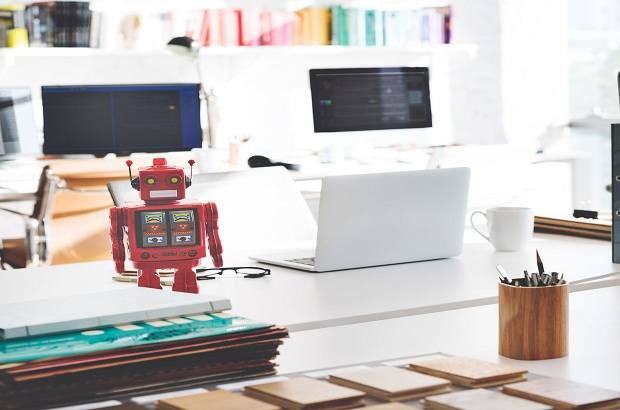 With the increasing interest in this science, the word "robot" has become increasingly popular in the media, as it has a key role to play in keeping pace with technological advances and communications. In many areas, robots are essential in increasing productivity with less effort, cost and human resources. There is hardly a day when we do not hear of a new development in this world that contributes to the service of man in various fields from space, military, and industry to medicine, commerce, recreation and education, the subject of our research. The educational robot has become an essential part of the curriculum in many developed countries. In the international standard of the organization, a robot is defined as a re-programmable, multi-functional manipulator, which can be used to transfer material, parts, tools or special devices through variable programmed speed to perform various tasks. As a subset of robots, social robots perform any or all of these processes in the context of social interaction. A social robot is an autonomous robot that interacts with and communicates with humans or other autonomous physical agents by following the rules related to social behavior and its role. The nature of the social interaction is infinite, and for complex expression, communication and collaboration, such as supportive workers, a relatively simple helper can be done by passing a tool to a worker. Like other robots, a social robot is physically absorbed. Some Synthetic Social Agents are designed to represent the head or 'face' to communicate dynamically with users, with the screen. Social communication is likely to be operative, but the definition is not limited to that situation. In addition, in some situations, inconsistent behavior can be considered social. In these cases, the status as a social robot depends on the 'body' of the social agent; If there are some physical motor and sensor capabilities in the body and it is used, then the system can be considered a robot. However, social robots who interact with other autonomous robots will also behave and negotiate according to non-human conventions. For many years, virtual academic agents and intelligent learning systems (ITSs) have been used to provide education with a comprehensive review of each field. They have proven effective in increasing cognitive and effective results and have achieved similar results on human learning on restricted works. It is largely due to their physical presence, which is lacking in traditional teaching techniques. Social robots can be used in education as a tutor or peer learners. The complexity of human-to-human contact in most social robots will gradually be gradually approached with the progress of Android technology and the implementation of various human communication skills. With the expectation of equal positive benefits for academics, the use of social robots has recently been discovered in the academic domain. A recent survey of long-term human-robot negotiation (HRI) highlighted the increasing popularity of the use of social robots in educational environments, and the banned surveys have already been organized in this area. A new study shows that robots can play an important role in the education of young people, but will not completely replace teachers. The robot will never change teachers but can promote children's education. Scientists say that social robots are proving effective in some narrow subjects, such as vocabulary or teaching of major numbers. But the current technical limitations - especially around the ability of speech recognition and social interaction - mean that their role will be limited to at least teaching assistants or tutors for the future. In this article, we will discuss, what researchers think of the social robot learning system, and what are the prospects of social robots in education, face technical challenges, and consider how the robot's presence and behavior can be learned. How do the results affect and we present a review of it Social robots used in education? The scope was limited to the robots that were aimed at providing learning experiences through social interaction with the learners as the robot which forms the basis of educational tools for science, technology, engineering, and mathematics education. Used to be opposed to. In the end, researchers have identified three major research questions: How effective are robot teachers in achieving learning outcomes? What is the potential role of robots in an educational setting? And what are the contribution of the robot's presence and behavior? 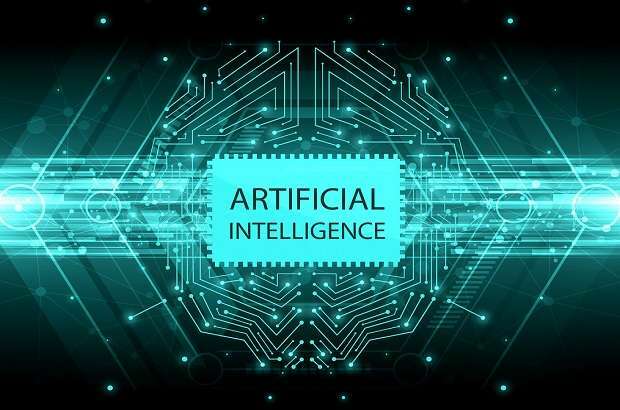 They support their studies with data collected from a statistical meta-analysis of published literature and by providing light on the expected results of using robots to provide researchers education and suggesting guidelines for future research to create a platform to build on. A professor in robotic Tony Belpaeme, from the University of Plymouth and Ghent University, said in a statement, "Social robots have a great ability to become part of educational infrastructures such as paper, whiteboard and computer tablet. But in the current resource-limited educational environment in a social robot, students have the ability to support and challenge in unavailable methods. Robots can free up valuable time for educators, allowing teachers to focus on what people still do - provide a comprehensive, sympathetic and rewarding academic experience. n recent years, scientists have started making robots for the classroom - robot kit technology and mathematics, but not social robots that can actually be read. This is because pressure on teaching budget, calls for more personal education, has discovered a technical solution. In spite of this, robots show great promise while teaching disciplined subjects with almost the matching effects of human futures. So through the use of robots in educational settings is limited by technical and strategic challenges, but in the future, there will be robots in the class which will help the human teacher ". Researchers have also explained that social robots also detect some technical obstacles that highlight speech recognition, for example, there is an insufficient strength to allow robots to understand the words spoken by young children. And they also say that introducing social robots in school curriculum has to face significant challenges and, in fact, The Okimono can take some children are being looked for too much trust went assistance provided by the robot, while they are in difficulty. After this, there are moral issues for practical ideas for presenting robots in education. How far do they want to take their children's education machines? Overall, learners feel positive about their experiences, but parents and teaching staff adopt a more cautious approach. To differentiate between academic and industrial and commercial robots, it is important to note that there are two common types of common characteristics. However, what distinguishes this education is that it is safer to use by students and to negotiate with the components of the material, using fewer material costs, in addition to containing guidance to the student how to program and interact with the components of Sensors, actuators, and arms. Instructional robots are given command through a computer with a special program, as well as applications that enable students to simulate reality through a virtual environment through which it is used. This technology can be used to develop the skills of classification, structure and programming concept, and students can be transferred from theoretical to practical through the integration of educational materials from science, mathematics, engineering, technology, and art together with the so-called STEM.